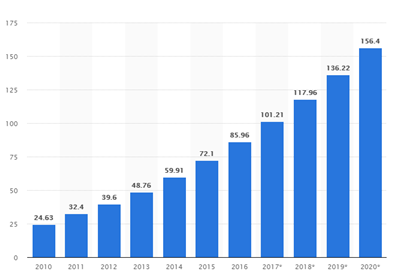 Over the last eight years, the cloud computing market has been growing at an exponential rate: its size has almost quintupled and the trend continues. 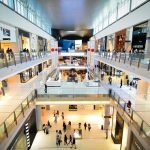 While its size amounted to $24.63 billion in 2010, the figure is expected to reach $156 billion in 2020. Under these conditions, some market players have been gaining power. 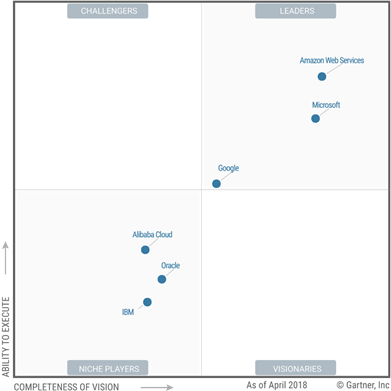 According to Gartner’s 2018 Magic Quadrant for Cloud Infrastructure as a Service, Amazon Web Services (AWS) and Microsoft are undisputed market leaders. At the same time, a number of vendors, such as Google, IBM, Alibaba Cloud and Oracle, lagging behind, but can still catch up. Inspired by Gartner’s research, we have come up with the idea of comparing two vendors that have different market statuses – an ultimate leader and a promising niche player. In such a manner, we would like to compare completely different solutions to figure out the benefits and drawbacks of each kind. Also, it will help us understand the ways in which businesses can make the best use of them. 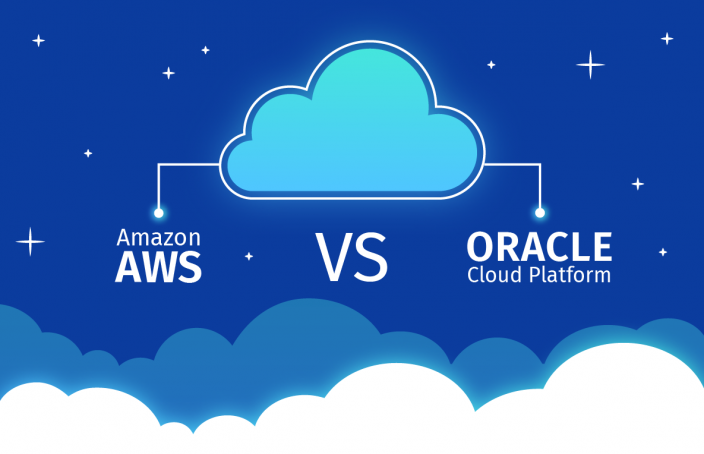 For this article, we decided to compare the Amazon AWS vs. Oracle Cloud platform – a new entrant and the absolute leader in the market. Also, we base this comparison on Gartner’s expert opinion of the strengths and drawbacks, capabilities and cautions of Amazon AWS and Oracle Cloud Platform, as well as on end customers’ reviews. Let’s begin with the longstanding leader — Amazon Web Services for further AWS vs. Oracle cloud comparison. Maybe its dominant position is the reason why lots of people consider this name to be the synonym for cloud technologies. AWS, Amazon’s subsidiary, entered the market in 2006, and since then it has been rapidly gaining ground. As of year-end 2017, its annual revenue amounted to $17.5 billion, which is 43% higher than n 2016. So, let’s figure out why millions of companies opt for this cloud platform. Databases – Aurora, RDS, Redshift, DynamoDB, etc. Also, AWS provides support for up-to-date technologies, such as the Internet of Things, machine learning, augmented reality and virtual reality. Continual portfolio development. AWS provides a wide range of services and acquisitions, which doesn’t stop the vendor from consistently enriching it with new offerings. In such a way, PaaS was once added to an IaaS offering. In the meantime, the cloud vendor steadily enhances its services with new functionality and capabilities, while it places special emphasis on integration and management. The widest range of capabilities. AWS provides the largest variety of functions and capabilities if compared to other solutions, which makes it a sure option for a lot of market players. Streamlined software implementation, migration and management. AWS has an immense ecosystem of consulting partners and independent software vendors, which provides its customers with AWS-preintegrated SaaS solutions, guaranteed technical support and licenses. Secure and compliant solutions. Both companies that need to perform certain business processes in the cloud and those that require migration of their traditional data centers to the cloud opt for AWS. It allows them to implement mission-critical applications that run safely and smoothly. Polyglot technical support. AWS operates all over the world, and the vendor backs up its services with extensive multilingual customer support. Moreover, the list of languages constantly grows. Extensive data center geography. Multiple small data centers are scattered across the globe, which reduces the risk of local incidents and enhances service localization. A pay-as-you-go fee model. AWS allows its customers to minimize upfront investments and layout expenditures as they grow while eliminating the need to purchase superfluous products and services. Complicated service implementation. The reverse side of the coin, various AWS services not only provide businesses with advanced capabilities but also require considerable expertise for their implementation and support. Also, it demands companies to be well-versed in service updates and innovations. Sometimes, it is tough even on the technology-enabled companies and AWS partners, not to mention managed services providers. However, there is also a bright side: customers can be assured that these managed services providers apply AWS technologies properly, as they have already earned this status. Off-radar updates and modernization. AWS used to update its services so that the general audience is in the dark about it, which is why significant modifications may go unnoticed. Insufficient cooperation with open-source communities. AWS has been creating an increasing number of open-source solutions, while not offering enough support to open-source communities. However, there is something to say in defense of the vendor: recently, it has begun to apply just the opposite approach. Quite a high price. There is a widespread belief that an AWS-based solution comes at a reasonable price. 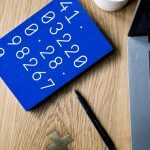 However, the price may not be as reasonable as it appears: the creation of a custom solution that meets all specific requirements may cost a bundle. Database compatibility issues. Amazon’s Aurora, Redshift and DynamoDB are compatible only with AWS. 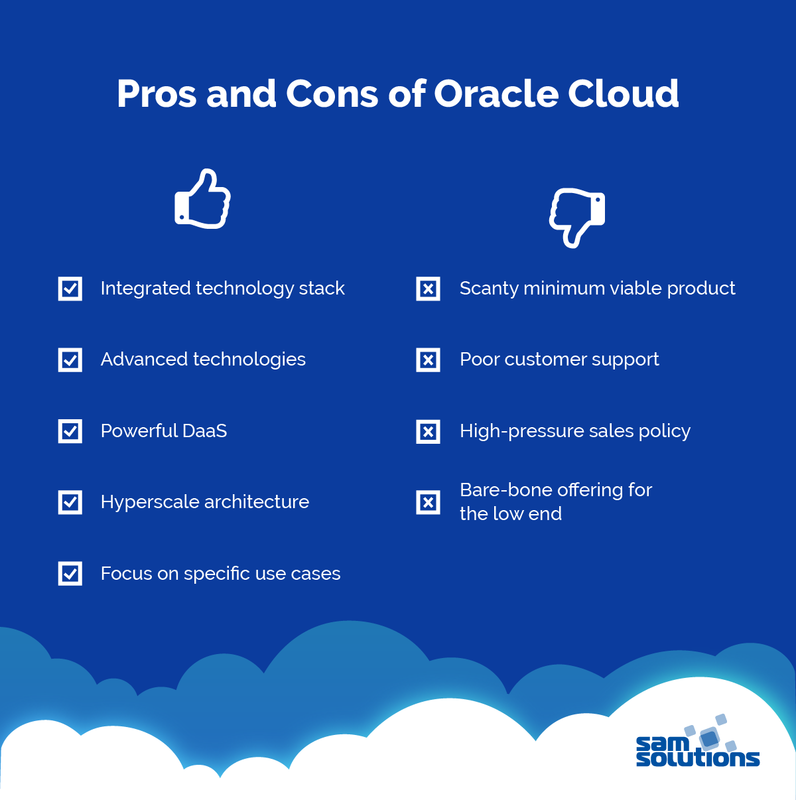 So, let’s gain some insight into the essence of Oracle Cloud computing platform, its capabilities, pros and cons to make a final Oracle vs. Amazon cloud comparison. 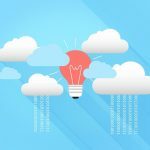 Read also: Private vs. Public Cloud Computing: What’s the Difference? The integrated stack of technologies. The vendor streamlines cloud-related business processes by delivering apps, middleware and database as a unified whole instead of turning to the patchwork of diverse third-party services. So, customers do not need to adopt other vendors’ solutions, as Oracle can meet all of their requirements. This results in a user-friendly environment. Advanced technologies. Oracle bases its cloud on cutting-edge technologies, which makes it faster and more powerful than numerous competitive solutions, especially when it comes to high-capacity apps. However, it may well be that the competitors will soon close the gap. Powerful DaaS. The vendor’s database expertise allows it to bridge database services with PaaS and IaaS. Hyperscale architecture. An easily scalable elaborate infrastructure allows companies to expand their IT landscapes as they grow, which is essential for large enterprises. Focus on specific use cases. In the highly competitive cloud computing market, Oracle has occupied its niche by creating solutions that meet the need of a specific group of customers. That allows the vendor to concentrate on its key capabilities, instead of riding off in all directions. Despite apparent strong points, Oracle cloud solutions have certain drawbacks, which is why a number of companies may opt for another cloud platform. A scanty minimum viable product. Although the vendor provides all the services and products required out-of-the-box, this offering includes only bare-bone solutions. 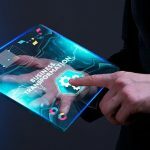 Moreover, its components are not sufficient even for companies that need only the minimum, let alone businesses that require a comprehensive platform. Poor support of enterprise-level customers. Not all of managed services providers work with Oracle Call Interface, which may alienate potential customers. However, the vendor has already begun developing its partner network. A high-pressure sales policy. What can also turn off potential customers is the risk that the vendor can hike license prices if they shift to another cloud provider. Also, the company uses rather aggressive sales tactics. A bare-bone offering for the low end. Oracle is focused on the high end, while its offering around the low end is quite poor and limited. Previously, we checked out the specifics of the two solutions and the advantages and disadvantages of both. To decipher the difference between Amazon AWS and Oracle Cloud platform, we have compiled a table that compares their most critical characteristics and features. Technology Relies on advanced technology. Database compatibility issues, limited database performance if compared with Oracle Relies on advanced technology. Oracle representatives claim its database technology to be 20 years ahead of that of AWS. As you can see, choosing between Oracle Cloud and Amazon AWS is not that difficult if a company thoroughly understands its own requirements and capabilities. Although the two vendors operate in the same market, they have quite different cloud platforms to offer. However, the options are not limited with these two powerful platforms: for instance, we have created SaM CloudBOX PaaS — a solution that enables easy and streamlined software development. If you are still in doubt about the platform that will suit your demands better — contact us. SaM Solutions has extensive experience in cloud-based development in numerous industries. In addition to our robust PaaS, we provide AWS — and Oracle Cloud-based solutions for a wide variety of businesses — for large enterprises, small and medium companies, and for startups. Rating: 2.4. From 16 votes. Show votes. I just switched from AWS over to Oracle and there is no comparison. Much of what you state about Oracle is factually incorrect and you could have seen that if you had just gone to their cloud website. What I have learned about Oracle Cloud. For IaaS they have the fastest, most performant cloud I have ever seen, including Bare Metal options. All pay by the HOUR. There is no high-pressure sales tactics. I never even talked to a Sales Rep. I did it all over the web. My IaaS bill was cut by 40% from AWS and I go 4-5x faster than AWS. Oracle’s storage prices are way lower than AWS. Oracle PaaS is totally different than other cloud providers. I would argue they are almost like SaaS. They are so easy to use it’s incredible has straightforward it is to use something like Analytic Cloud or Integration Cloud to get things done. Most clouds platforms just install a image on a linux vm and say, go log in a use that software we just gave you. Oracle does not do that. The PaaS is installed for you and you use it via a browser, you never even log-in to the linux envrionment that runs it. That’s why it’s more like SaaS really. The best I can say is that Oracle designed it’s cloud around big companies, no little dev shops. They built in high performance, low costs, easy PaaS for big world-wide companies. I haven’t use their PaaS yet but our company plans to go to their SaaS offering called NetSuite to run our business systems. Rating: 3.2. From 33 votes. Show votes. Mark, thanks for your feedback! This article just expresses our point of view. Both Oracle Cloud and AWS have won numerous businesses, and that’s because they both have powerful capabilities that can meet the requirements of various companies. We’re happy that your Oracle experience is successful, but we’re sure that numerous AWS’s followers also consider AWS to fit the bill. Rating: 3.3. From 6 votes. Show votes. I saw the Oracle CEO on tv saying their product is much more secure than AWS because the software that runs their system is seperated from the customer environment making it impossible to hack. I think security should have been mentioned in the article. Rating: 4.4. From 7 votes. Show votes.